What is the best way to contact the Rural Fire Service in the event of a fire? 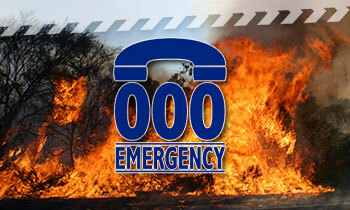 The best way to contact us to report a fire, or in a life-threatening emergency is to dial 000. How does the brigade find out about fires? When you call Triple 000 and ask for 'Fire', your call will be directed to a Fire Control Centre. When it is identified that the incident is in our area (Shoalhaven), They will activate pagers carried by members of the nearest brigade and generally a second for backup. Our volunteers then make their way to the Sussex Inlet Fire Station and choose the most appropriate vehicle based on the incident after communicaton with Fire Control. For larger incidents this will often mean all three Sussex Inlet Fire Appliances will be responded. I live several streets away from any bush, my home is safe isn't it? No. Most houses are burnt down in a fire due to burning embers flying through the air. These embers can be blown up to 10km high, and have been recorded as travelling up to 30km ahead of the actual fire front in the Victorian Black Saturday fires. These embers may fall more than an hour before the main fire arrives, so you might not even be aware a fire has started. Ensure your gutters are clear of leaves and that any gaps under your house are covered to reduce the risk posed by embers. What should I do with my animals if I have to evacuate quickly? Ensure that you do not tie animals up during a major emergency, it could be fatal for them.Small domestic animals should be kept with you, either inside your home if you're sheltering in place, or in a vehicle if you're leaving. In bush fires, move large animals to a well grazed or ploughed area, preferably around the home and sheltered away from the winds. Ensure that you remove all covering from stock e.g. rugs and veils as these can burn animals if they come into contact with embers. What is the best way to prepare my home before a fire? Keep your lawns short and cut back nearby shrubs and trees (see the 10/50 rule Click Here). Empty your gutters and ensure you clear fallen leaves etc. from around the house. Make sure you have a hose long enough to reach all parts of the house. Having a generator is a must if your home relies on a pump for water - in a severe fire, power will almost certainly be cut off. If your property has a pool or dam, mark your house or gate with a Static Water Supply sign - this makes it easier for firefighters to find water to fill their trucks. What is a neighbourhood safer place and where can I find one? A neighbourhood safer place is a 'place of last resort' for people who elected to stay and defend in a bushfire if conditions deteriorate to a point where they need to flee. They should not be confused with long-term options like Fire Refuges and Evacuation Centres and do not guarantee your safety. 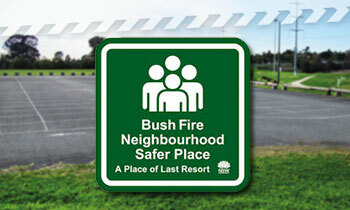 Neighbourhood Safer Places are only a place of last resort during a bushfire. Firefighters may be on scene to protect the places of last resort, but this cannot be guaranteed - if in doubt, leave early! Sussex Inlet RSL Club, 200 Jacobs Drive Sussex Inlet. Sussex Inlet Bowling Club St Georges Ave Sussex Inlet. To find the nearest Neighbourhood Safer Places to you throughout NSW Click Here.